If you own a camera, smartphone, or tablet, then you probably need memory cards. They provide an easy way to expand the storage of mobile devices. Paired with the right memory card back-up devices, they're also handy for backing up or transferring files. Storage cards offer many features, but the three most important things to consider when shopping for cards are their physical size, speed, and capacity. Most cards fall into two main groups based on their physical size: standard SD cards and microSD. 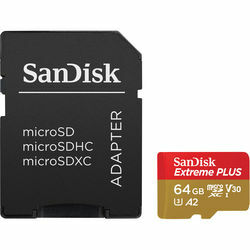 SD cards have a larger form factor, while microSDs offers the smaller build. Both sizes work with smartphones, cameras, tablets, and a range of other mobile devices. To get the right fit, it's important that you first check your device for compatibility. The maximum storage capacity for memory cards is improving at an incredible rate. Deciding which to get depends on your budget, device and storage needs. If you don't need to store much on your camera and don't want to spend much, a 32GB or 64GB microSD card is a good pick. However, if you plan to make frequent transfers with a portable memory card reader, you may want to consider several moderately sized cards. It makes it easier to store and organize your files, instead of having them all on one SD memory card. All cards aren't the same. Manufacturers design them with different speed classes, which affect how quickly they save and retrieve information. You'll find Class 2, Class 4, Class 6, and Class 10 memory cards. The higher the number, the faster the speed. As a rule, digital experts recommend that buyers shop for the fastest cards if they plan to work with high-resolution files or 4K videos. An easy way to identify if a card is right for your needs is to check its speed class. Class 2 cards are suitable for SD recording and video playback. If you plan to record or play 720p or 1080p video, then a Class 4 or Class 6 card offers your desired performance. For 4K videos, Class 10 SD cards are typically in order. 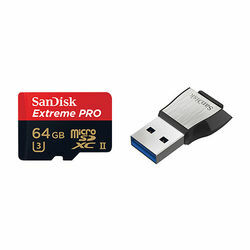 SDXC and SDHC memory cards come with an Ultra High Speed, or UHS, which allows for faster write speeds, ranging from 10MB a second to up to 350MB a second. This makes them perfect for continuous, high-definition photos. You'll also find SD cards optimized for 3D recordings and 8K videos. Expand your digital storage options with the right card. B&H Photo and Video offers a wide collection of storage options and memory card and back-up accessories.